Michael Winn began his homebuilding career in 1969, as a construction laborer during high school and college. After graduating from Harvard in 1976, he received a Masters degree in Urban Planning from the University of Massachusetts and moved his young family to California, where he joined his brother Tom to form Winncrest Homes in 1981. Mike oversaw all aspects of homebuilding, land planning and development over a 16 year period when Winncrest was regularly among Sacramento’s top volume homebuilders. The company developed a strong reputation for community planning, architecture, and customer service, twice being named the Sacramento area’s Builder of the Year. The firm’s stellar reputation was enhanced by Mike’s local industry involvement and volunteer leadership on numerous community and charitable boards. He served as a Board member for the Sacramento Theater Company, the Sacramento Tree Foundation, and the Lambda Alpha Land Economics fraternity. In addition, Mike has been active as a coach and fundraiser for many youth sports groups. Other recipients of his family’s generosity are the Sacramento Food Bank, Families First, and the River Oak Center for Children. On homebuilding policy matters, Mike has been a leader with the North State BIA in successful school and local land use efforts, while collaborating with colleagues throughout California on statewide policy issues such as infrastructure and flood control measures. As co-chair of the 2004 Measure A campaign, he played a pivotal role in the landmark transportation sales tax victory for Sacramento County. After the merger of Winncrest Homes with Lennar, Mike continued to oversee all community planning efforts as the company embarked on a major land development program. During a 4 year period as vice president and president, his teams completed more than 10,000 homesites in Sacramento’s largest master-planned communities. Engaging in complex entitlement efforts, he led property owner groups to successfully open North Natomas and Elk Grove for dozens of homebuilders. In 2002, Mike joined Reynen & Bardis Communities, where his consensus-building and strategic efforts led to many more award-winning communities. He currently leads the Cosumnes River College campaign to build the $14 million Winn Center for Architecture and Construction in 2011. His passion for urban design, workforce development, and energy-related policy are also evident in his leadership role at CBIA, where he currently serves on the Executive Committee and the Climate Change Task Force. 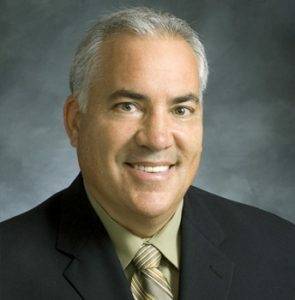 Most recently, he was installed as the 2008 Chairman of the NSBIA Board of Directors and opened Michael Winn Associates in downtown Sacramento. More than 250,000 Sacramentans live in communities in which Mike Winn played a key role in acquisition, planning, design and development. Mike has three grown children, and he and his wife Karen live in El Dorado Hills.